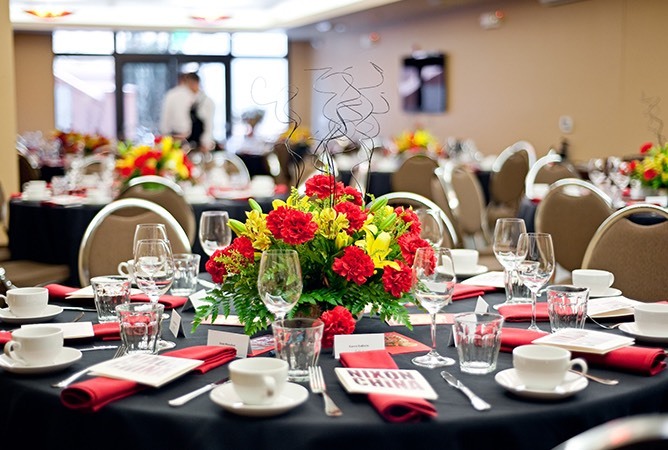 Effortlessly plan perfect events with a little help from our expert team. Host your rehearsal dinner in the versatile Maple Room with catering by Marché and spend your wedding night in our Crystal Suite. Family and friends will feel right at home in stylish guest rooms and suites, set aside just for them. A romantic space with tray ceilings, soft recessed lighting and colorful glass chandeliers, The Maple Room is ideal for rehearsal dinners and special events.